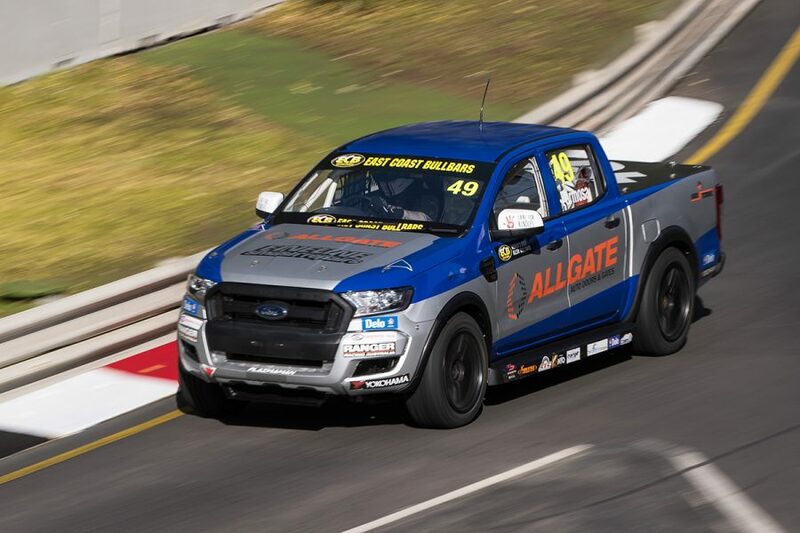 The ECB SuperUtes Series technical platform will evolve over the next two events with the introduction of suspension modifications and a new control wheel and R-spec tyre. Upgrades will be spread across Rounds 2 and 3 of the sophomore season, at the PIRTEK Perth SuperNight and Winton SuperSprint in May. The measures will lower the ride height of SuperUtes by more than 50mm, while the new wheel-and-tyre combination is 6kg lighter per corner. Before heading to Perth, teams will fit modified Supashock front dampers and reposition rear frames to initially take 10mm from the ride height. They will be paired with a new 20x9.5” Hussla wheel and lower-profile Yokohama tyre at Winton. "Modifying the shocks on the front and then the rear-end geometry enables us to lower the ride height," category manager Kurt Sakzewski told Supercars.com. "That will assist bringing down the centre of gravity, which will assist in the driveability of the cars. "The second stage is we will switch to a lower profile R-spec tyre, still provided by Yokohama, and that tyre will have a slightly different wheel, we need a wider wheel to fit that tyre. "The result of the lower-profile tyre is obviously the tyre has got a smaller diameter, so it'll actually reduce the ride height a little bit. "At the moment we are kind of governed by the existing wheel and tyre package as to how far we can drop the cars. "Certainly by the time we get to Winton you'll visually notice the difference in the ride height and the lower-profile tyre will be a fairly obvious visual indicator as well." 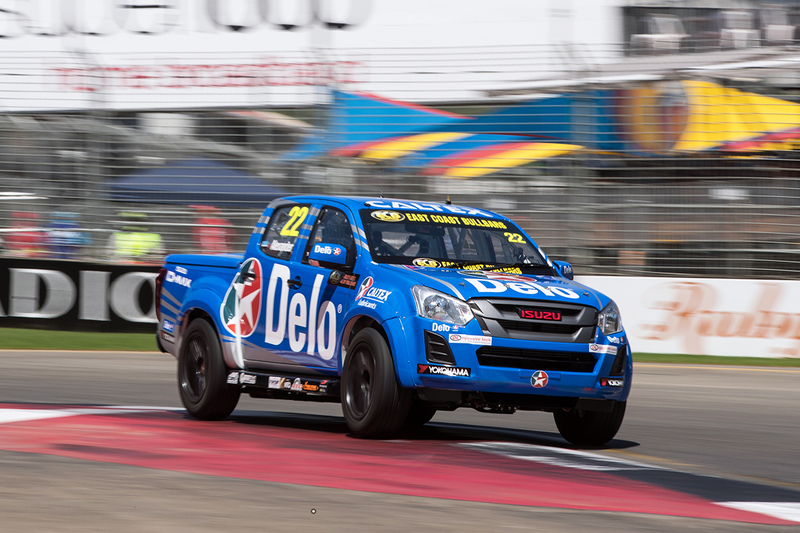 Development has been a focal point for the all-new, turbo-diesel platform leading up to and since its racing debut at last year's Adelaide 500. Six manufacturers are represented on the grid, with work on enhancing the package ongoing. "We saw last year with the quality of racing we had on track, that we were gaining traction with the fanbase," Sakzewski said. "There's always going to be people that want to make negative comments about anything new and different and we knew that going into this and we're prepared to see all those comments. "Probably the biggest comments were around the sound of the cars, people thought they sat too high and needed a lower ride height. "We've already put the new exhaust on. That was the first step in improving the sound and we're not stopping there, we've got a few other things we're looking at. "In terms of ride height, the wheel and tyre package and suspension modifications are going to give us a big improvement. "Then that last stage is engine performance and lap times. "The R-spec tyre should bring times down a little bit and we're continuing to work on the engine package and all the elements related to that, to see us bring those performance numbers up a little bit. "We're working across six different models of cars, so it's not as simple as finding one solution, you've got to find six solutions to every problem and we're working away at that."